Historian, Lord Acton warned that power tends to corrupt, and absolute power corrupts absolutely. He wasn’t talking about just the government, but institutions and all works of life in which power is inevitably found. But over the few years, it has become more apparent that Acton spoke about African strongmen, who have risen out of the shadows of their colonial masters after attaining independence and found more irrelevant ways to stay in power. 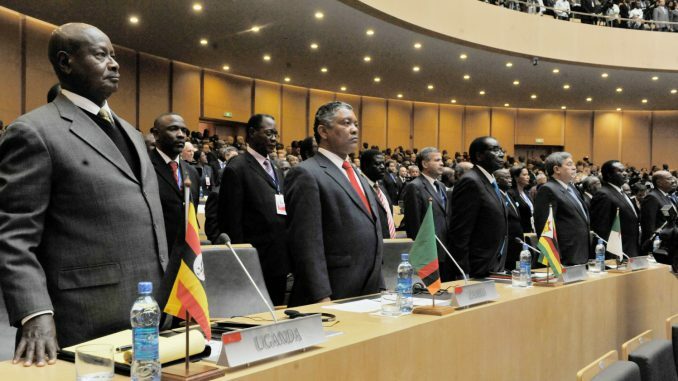 It is important to note that in all parts of the world, strong men are part of the demographic, but today, we focus on the ones that have shaped the African continent in positive and negative ways. Africa has had friendly dictators and bloodthirsty dictators that transferred this same thirst for power to their citizens. Take for instance Charles Taylor of Liberia, whose sadistic views led Liberia into an unending civil war. There was Abacha of Nigeria, who was so terrible a dictator that his death was celebrated on the streets of Nigeria. The emergence of new dictators like President Robert Mugabe of Zimbabwe, President Yahya Jammeh of Gambia, President Paul Biya of Cameroon, and unconventional dictators like President Muhammad Buhari of Nigeria, doesn’t just bring us solely the statement of absolute power corrupts but makes us ask a definite question about the validity of democracy in African states. Pierre Nkurunziza was a former Hutu rebel leader, who became the first president to be chosen in democratic elections since the start of Burundi’s civil war in 1994. But since his re-election in 2010, his administration has been accused of growing authoritarianism, which includes attacks and pressure on opposition parties and the media. He was re-elected for his 3rd term in 2015 which is more controversial than his numerous oppression of oppositions and electoral malpractice as Burundi’s constitution limits presidents to a maximum of two terms in office. His argument which got him re-elected was that his first term did not count, as he was elected by parliament and not by the entire electorate, and was thus eligible to stand again. The constitutional court ruled for this argument. 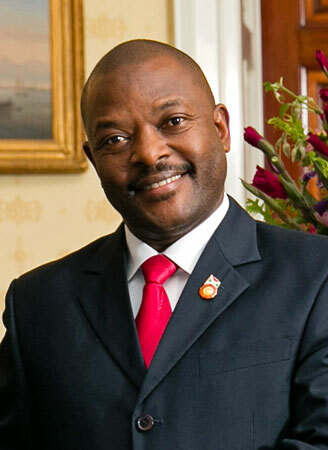 Nkurunziza is, however, a new comer to the “Africa big boy” roll call. 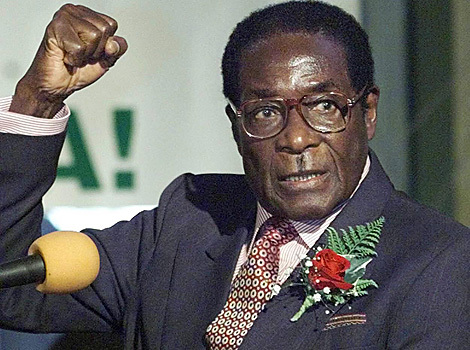 Robert Mugabe, unlike Nkurunziza, isn’t a new face to the African ‘big boy’ roll call. He is, in fact, the face of Africa’s big boys. There would be no list made without the name Robert Mugabe. He has ruled Zimbabwe for close to 29 years and has promised to rule for longer “if God gives him strength” this is a subtle way of saying he would hold on to power till death do them part. Mugabe’s fiscal policies have occasionally brought the economy of Zimbabwe on her knees, but somehow, he still wins every election he runs for. You know why that’s possible? Suppression of opposition groups, and alleged rigging of election. He has been tagged the white man hater,“Gushungo” — which means crocodile in Shona, etc. Joseph Kabila doesn’t seem fitting here, but he might want to fit so badly, as he has tried to play the card of every dictator to stay in power, with his recent postponement of DRC’s election which led to violence in the country. 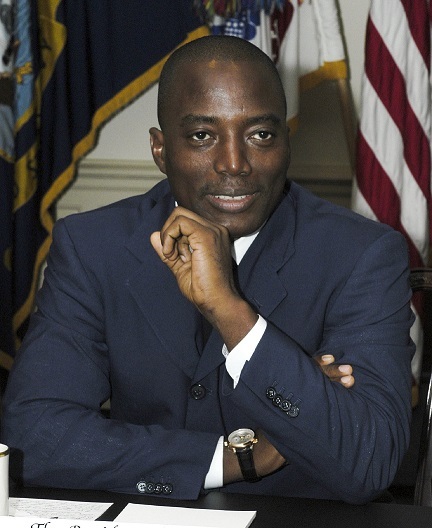 Kabila came to power following the assassination of his father in 2001 and his term ends this December 19th. But, he reportedly has other plans to hold on to power and probably hide in the presidential bunker when the going gets tough like his fellow dictator Laurent Gbagbo did when his bid to hold on to power led to an Ivorian civil war. Another indication of Kabila’s autocracy is his successful move to change the constitution allowing for the candidate with majority electoral votes (even if less than 50 per cent) to win the election. This move was seen as an attempt to ensure his victory for the upcoming election that year (2011), and drew criticism from opponents. 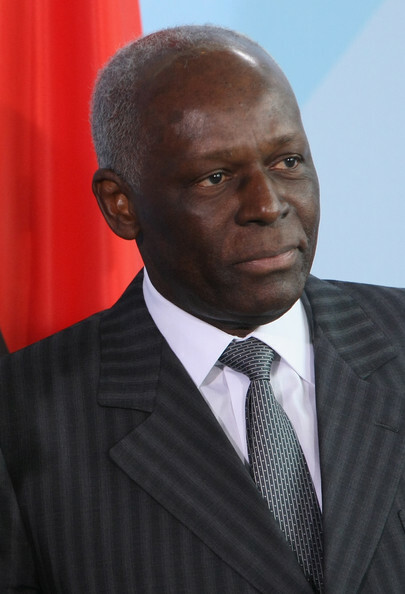 Angola’s President Jose Eduardo dos Santos is Africa’s second-longest serving head of state. He has been in power for 37 years, despite having never been formally elected. But just like some dictators, he isn’t all bad. Many Angolans laud the president for the transition of the country to recovery after its 27-year civil war came to an end in 2002, and for transforming the former socialist economy into one of the world’s fastest-growing. But a dictator will always be a dictator. He has been occasionally accused of being a destroyer of democracy by his opposition, because just like every dictator, he amends the constitution to make himself stronger. Some, have also accused him of authoritarianism, staying in office for too long and failing to allocate the profits from the oil boom more widely. His daughter Isabel dos Santos was named Africa’s first billionaire by Forbes, but this might be thanks to daddy’s loot. ”Though her representatives deny that her holdings have any connection with her father, Forbes research shows that the president has transferred stakes in several companies to his daughter,” the magazine said. Jose is not just an African big boy, he is also one of the richest presidents in Africa. His personal estimated wealth is more than $20 billion, according to Cabinda Online. While around 70 percent of Angolans live on less than two dollars a day. Now meet Jose’s mentor, Mr Obiang Nguema Mbasogo, Africa’s longest-serving leader. He has been in power for close to 4 decades. Since becoming president of Equatorial Guinea in 1979, Mbasogo has won all the presidential elections, which he sometimes ran with no opposition. In 2002 and 2009, he won more than 97 percent of the votes. He has been labelled as one of Africa’s worst dictators. Observers have also characterised his leadership as corrupt and oppressive as disappearances, torture and extrajudicial executions are prevalent. Mbasogo, isn’t just in permanent contact with God, he is also in permanent contact with his robust account and luxury properties in France. He has been accused of mismanaging funds and looting state assets to buy houses and cars in France. Allegations that led to a French judge starting an investigation into Mbasogo and two other African leaders in 2009. Obiang’s play boy son who looks more like a pop star than a vice president. 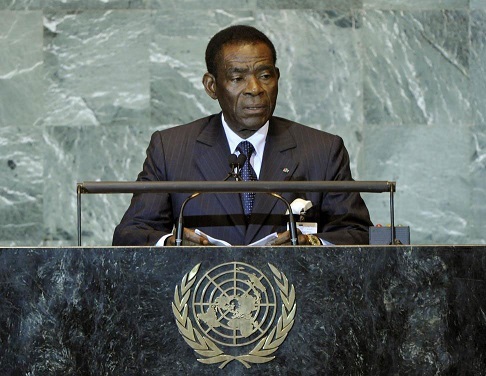 Teodoro Nguema Obiang Mangue has also been accused of using embezzled state funds to fund his extravagant life style. Paul Biya has been in power since 1982. He has gained the nickname “absentee landlord” because he sometimes disappears from the country for two or three months at a time. These disappearances aren’t the ordinary kind of disappearance, its an expensive kind of disappearance. in fact its so expensive that it costs 25 thousand pounds everyday. Paul spends almost half a million dollars on his vacations while almost half of the Cameroonian population wallows in poverty. But his glamorous holidays, isn’t as resplendent as his wife! She is spots her big red hair, which she is perhaps a reminder to Paul on what his account shouldn’t look like. 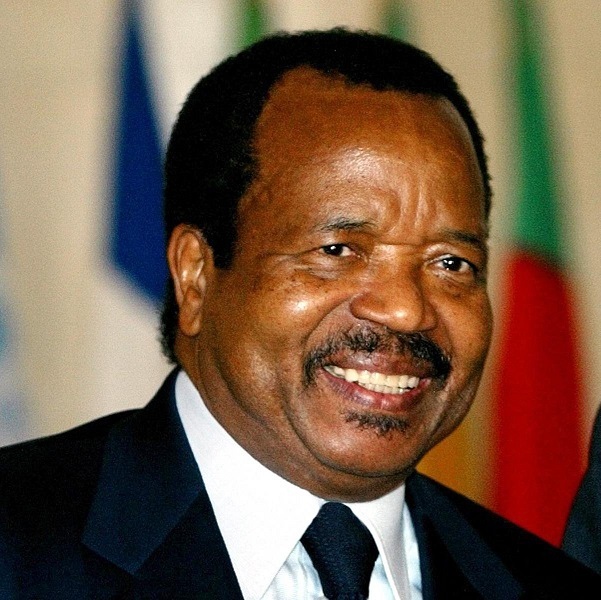 In April 2008, there was a controversial amendment to the constitution which allowed President Paul Biya to run for a third term of office in 2011.He went on to win a new seven-year term in the October 2011 election. The election was said to be flawed with irregularities by international observers. Mr Biya was also accused by civil society movements of locking down the electoral system to guarantee his return to power. Every dictator has a trade mark, its part of the dictatorial role, Kiir of Sudan has his ugly cow boy hats, while Yahya of Gambia has white out fits, his staff, and his prayer beads. Always clad in his immaculate white, if you were looking for anyone that looks like a dictator, Yahya Jammeh is your guy. He is a devout Muslim with miraculous powers, he has the ability to cure people of Aids and infertility. He even believes that homosexuality threatens human existence. These miraculous powers, might come in handy for Yahya who has ruled Gambia for 22 years. “My fate is in the hands of almighty Allah. 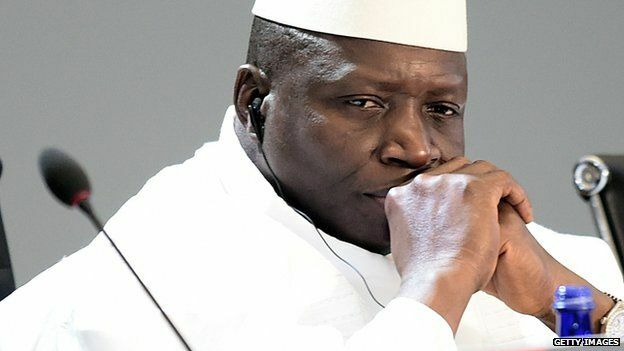 I will deliver to the Gambian people and if I have to rule this country for one billion years, I will, if Allah says so…I will not bow down before anybody, except the almighty Allah and if they don’t like that they can go to hell,” he said. Yahya has fulfilled his promise and has decided not to bow down to the people’s will amidst international backlash. He recently lost the 2016 elections in The Gambia and has decided to contest the result; seems like this miracle worker might rule Gambia for 1 billion years’ if he chooses to. There are many more dictators, the likes of Gadaffi and Morsi. All the things these autocrats have in common is repression, and embezzlement, amongst other things. The question people have asked themselves is, has democracy failed in Africa, but the real question we should ask ourselves is, “Is democracy really the answer”? Was Africa allowed to develop its own system that works before the charade of democracy was pushed down our throat?